NEW! 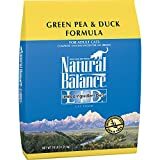 Natural Balance Limited Ingredient Diets Green Pea & Duck Formula for Cats is our special Formula, made specifically for cats and kittens prone to allergies. Along with our Duck & Green Pea Canned Formula, cats with allergies can now have a complete allergen-free diet! Natural Balance Canned Cat Food is a complete and balanced premium cat food, with meat from USDA approved plants and no by-products. 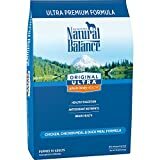 Natural Balance “Ultra Premium” is for all breeds and all life stages. Made with three quality meats (no by-products): fresh chicken, duck and lamb meal, an optimum source of highly digestible protein. Oatmeal is added as an exceptional source of carbohydrates, fiber, thiamin and Vitamin E. This diet does not contain corn, soy, wheat, eggs, white rice, dairy, or sunflower oil. Natural Balance© Dog Food Rolls contain only premium ingredients: USDA inspected meats (an excellent source of protein), and kelp meal (an excellent natural source of vitamins, mineral and trace elements). 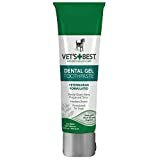 The high quality animal fats (naturally preserved with mixed tocopherols, source of vitamin E, and ascorbic acid – vitamin C) helps your dog have a healthy skin and a shiny coat. Natural Balance© Dog Food Rolls are very appealing to both the owner and, more importantly, to the dog. Can be kept unopened at room temperature for up to 6 months! Biscuits come in a variety of animal shapes and sizes. They contain highest quality bakery ingredients and include no animal by-products. It is easily digestible and comes in large and small animal shapes. They are perfect for all size dogs with no preservatives or additives. No artificial flavors or colors. Helps maintain strong teeth and fresh breath. Introducing the first dry food worthy of being called spot’s stew and now in a grain-free formula. Halo, Purely for Pets holistic approach to cat care is based on treating the whole animal, using pure, natural ingredients in optimum formulation to support the body’s ability to heal and maintain itself. The result is a happier, healthier cat inside and out. Halo, Purely for Pets commitment to using only the highest quality ingredients in our cat food has never wavered. We guarantee you will see a difference in your cat’s health when you use our products. Natural Balance Grain Free Limited Ingredient Green Pea & Salmon Formula Dry Cat Food is our special grain free allergy formula that is made specifically for cats and kittens prone to allergies. 100% All Natural Beef Tendons are just that a natural dog chew that contains no hormones, preservatives, additives, or artificial flavors. Cadet Natural Beef Tendons are just what your canine ordered. 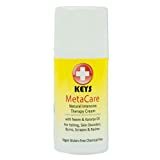 For fast relief of allergies affecting the eyes, ears, nose throat and skin of your pet. For itching, scratching and other irritations associated with allergies. Look at Zuke go. He could play fetch all day. That’s why we help maintain hip and joint function with the natural goodness of glucosamine, chondroitin, wholefood antioxidants, and eggshell membrane. This powerful combination is packed in a delicious, moist, meaty treat your dog will absolutely love. 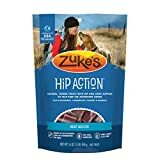 Feed Hip Action and keep the adventure going. 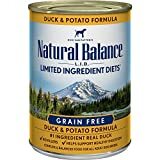 Natural Balance Limited Ingredient Diets Sweet Potato & Venison Dry Dog Food is our New Formula made specifically for dogs and puppies prone to allergies. Smokehouse Mammoth Bones are slow roasted and naturally processed to ensure maximum flavor and hours of enjoyment. We leave plenty of meat on the bone to keep your dog happy. A great treat for dogs who love them all. Natural Balance Sweet Potato & Fish Dry Dog Food is our special Allergy Formula, made specifically for dogs prone to allergies to beef, poultry, or lamb. COMPLETE AND BALANCED FOR ALL BREEDS AND LIFE STAGES! 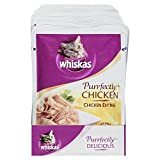 Whiskas purrfectly chicken in natural juices food for cats, 3-ounce pouches (pack of 24) is made with real cuts of tender chicken prepared in natural juices with a taste cats adore. More than just delicious, this meal is formulated to meet the nutritional levels established by the aafco cat food nutrient profiles for maintenance. This special flavor-lock pouch seals in the natural juices so the premium cuts of chicken stay fresh, moist, and flavorful. Plus, the convenient flavor-lock. Etta Says! 100% All Natural Liver Sprinkles From All American Farms! No additives, fillers, coloring, preservatives or by-products. These yummy treats will melt in yer mouth, so make sure your stores git plenty of em’. I’m pure bred American dog, and 12 or so out of the 10 dogs I surveyed prefer home-grown treats. Paws down…imports stink! My treats are 100% natural…no artificial fillers, coloring or preservatives. These treats are the perfect size for any pooch. Taste is in the tongue of the beholder. And I be holdin’ the best treats this side of the Pacific! Since Breeder’s Choice began in 1947, we’ve been uncompromising in our pursuit of the healthiest nourishment for the pets we love. 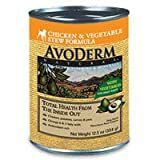 AvoDerm Natural was created when a chance encounter with a local farmer produced the idea of combining healthy dog food with the avocado super fruit. The result is history as thousands of pet parents have marveled at the difference AvoDerm Natural has made with their pets. Chicken & Vegetable Stew provides quality ingredients with chicken, potatoes, carrots and peas. High quality ingredients ensure that you are providing the optimum nutrition your pet needs. 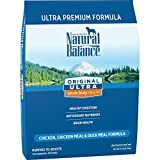 Natural choice large breed chicken and rice dinner chunks in gravy adult dog food cans are formulated for dogs over 50-pound between the ages of 1-5 years old. Blue Dog bakery premium natural low fat dog treats are great for puppy training. They contain highest quality bakery ingredients and include no animal by-products. It is easily digestible and comes in large and small animal shapes. They are perfect for all size dogs with no preservatives or additives. No artificial flavors or colors. Helps maintain strong teeth and fresh breath.